Joyce graduated from the University of Central florida in 1980 with Political Science/Pre-Law and French degrees. 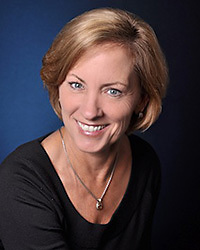 She has assisted Mike in the real estate business over the years and has had her Salesperson's License since 2006 as well as an "E-Pro" certification. Joyce is always looking for the latest ways to market properties including social media, direct mail and numerous websites where our listings are posted.